Meet our third diamond among our impressive list of mentors - the talented Helen Kokk. Helen is an established UI and UX designer, who works for famous companies around the world. 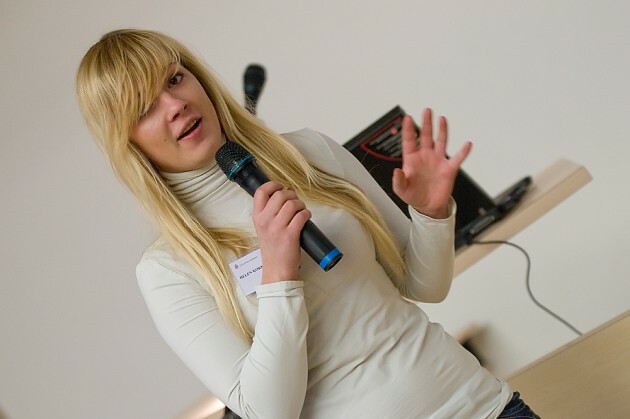 She has been working with Garage48 for many years already, so she knows the startup world inside and out! This year, Helen travelled to Uganda, Africa from April to July to boost the local ICT ecosystem about which you can read more in her blog post. Join Helen in the weekend-long hackathon and learn more about design by registering NOW for the Garage48 Women Special event in Pärnu! When and how did you first realize that you are interested in design and technology? Design - the day when I had to give in my BA application papers. Technology - 5 years ago at the Garage48 HUB christmas party. Do you see any correlation between excellent design and the success of a startup? What advantages do you think female entrepreneurs have? Since there are so few of us it’s like seeing a falling star in the sky - you want to look and learn more why they are there. What is the best way to get started if you have a really good business idea? The best is to validate your idea first. What is user experience and how can you spot great UX? Can you give examples? When the user doesn’t have to think about the design and ask questions - what, who, why? It is impossible to give examples, as it is subjective - everyone of us has to feel it on their own and so everyone has their own examples. What has been the proudest moment in your life so far, work wise or personal?